Canada’s Income Tax Act is extremely detailed and many important points are easily overlooked. This means that when tax season arrives, many Canadians are confused and left scratching their heads when it comes to questions about their income tax. From this confusion, a number of myths have arisen. 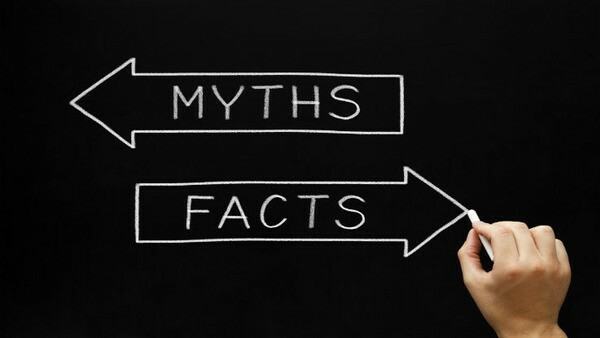 Elite Tax wants to clear the record and debunk the four most common income tax myths. Many assume that working abroad for a long period of time means they are not required to file a tax return. This is simply not true based on the fact that the Canadian tax system is based on residency. Should you choose to emigrate from Canada, you will not be required to file a tax return, seeing as you are essentially giving up your residency in the country. However, those who work abroad but still hold residence in Canada are required to file a tax return. If you excel at your job and are offered a pay raise, you may be cautious to accept it. Well you can stop worrying, because this is not true. Should a pay raise and enter a higher tax bracket, only the excess income in the higher bracket will be taxed at the higher rate, as opposed to all your income. This is true in some cases, but within limits. For example, non-cash gifts that are worth a total of less than $500 a year are not taxable if they are given to an employee to mark a birthday, holiday, or special occasion. An employer can also give an employee up to $500 in a non-cash gift once every five years as a way of marking long service or an employee anniversary – none of it will be taxable. Essentially, non-cash gifts will not be relevant come tax season, but cash gifts are always taxable. Perhaps you see them as an off-the-books bonus and doesn’t matter when it comes time to do your taxes. The truth is that any money made from tips is considered income and you are required to record and report your tips on your tax return. This is because servers, for example, may have an income that consists of 200-400% tips. Figuring out what is taxable and what is not doesn’t need to be a headache. This is your chance to show off your new-found knowledge of the dos and don’ts of income tax by contacting Elite Tax today to get a head start on tax season. Do Students Have to File a Tax Return?